BECOME A LANDSCAPE MANAGEMENT APPRENTICE. Jumpstart your career in an industry that values determined work ethic, resourcefulness and problem-solving skills! Pursue a career as a landscape professional. Click here to start laying the groundwork for your future. Explore college programs and scholarship opportunities available to students interested in the lawn and landscape profession. Find landscape career openings in your area - from entry level to executive positions. Not sure where you'd fit in within the lawn and landscape industry? Take a quiz to see which career path is right for you. Find out how to get involved in the nationwide initiative to explore the rewarding career opportunities that exist in the lawn and landscape industry. Those who love the outdoors, have a passion for the environment, and yearn for fulfilling, difference-making vocations should use this site to explore the myriad of landscape jobs that can make a difference in their lives – and the lives of those around them. Whoa! THAT'S the starting salary for a landscape professional? If you love the great outdoors, the landscape industry offers a wide variety of appealing careeropportunities. Arborists, Lawn care technicians, and irrigation specialists all perform landscaping jobs outdoors that create a visible impact on the environment. Project estimators and supervisors also work in the field in less hands-on roles, while other industry professionals work off-site. Some positions in the landscape industry require specialized training or education, such as a degree in urban forestry or horticulture. 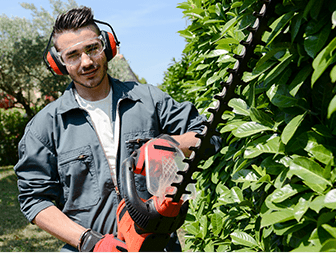 Landscaping Industry Careers provides information on colleges & universities, with related degree programs for those interested in these types of job opportunities. Browse our educational resources to find the career path that’s right fit you. 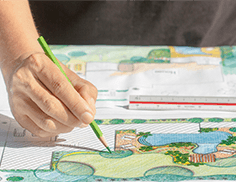 Landscape Industry Careers is powered by the National Association of Landscape Professionals, an organization representing nearly one million professionals who create and enhance the outdoor spaces where we live, work, and play. Find more information for landscape industry professionals and to learn about the association’s commitment to helping lawn and landscaping companies thrive by visiting the official NALP website. READY TO FALL IN LOVE WITH YOUR CAREER? "I never dreamed that three years after graduation I would own my own landscaping business, one that is extremely profitable, earning over $1 million a year. I am proud that I am supporting my family and we just bought our first home!"